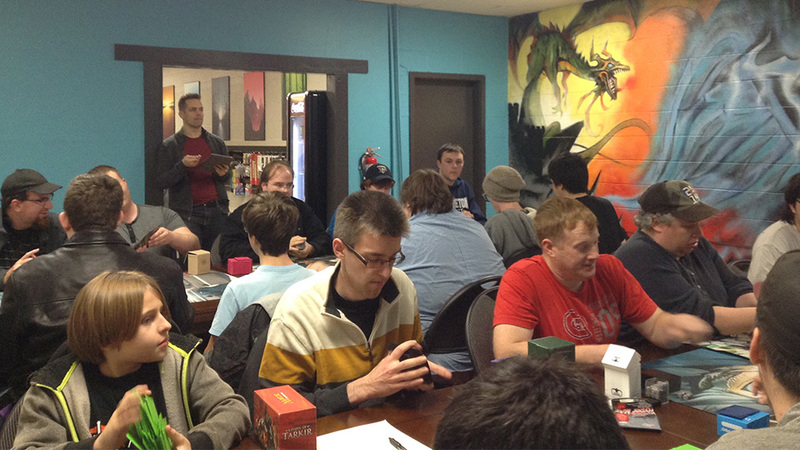 Players enjoying a round of Magic. 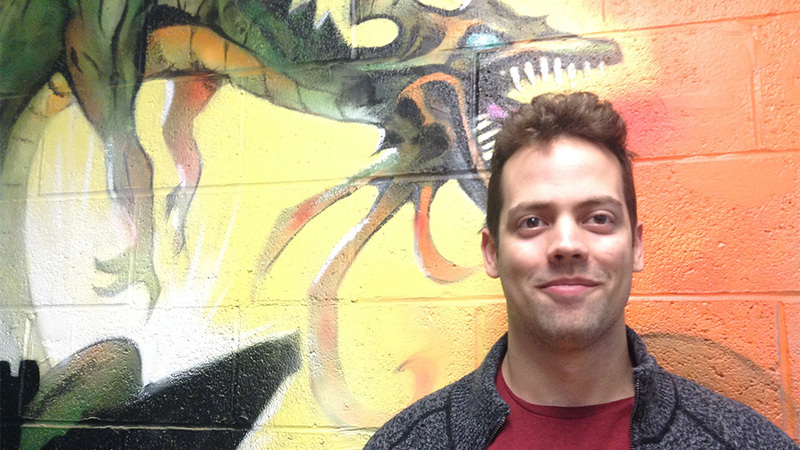 Joshua Pyle-Carter said opening a card shop was a risk but he knew he would excel at it. The front desk of The Deck Box with Pyle-Carter (right) attending to a customer. 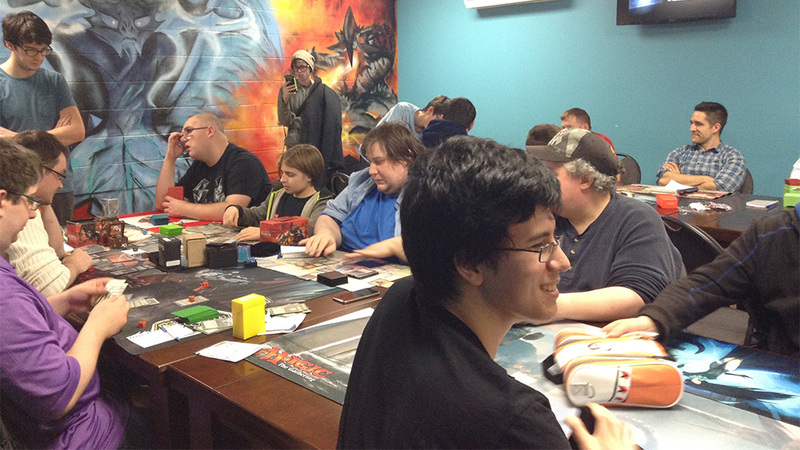 Players during a round of Magic with Pyle-Carter overseeing the game. The Deck Box store on Quinpool Road. 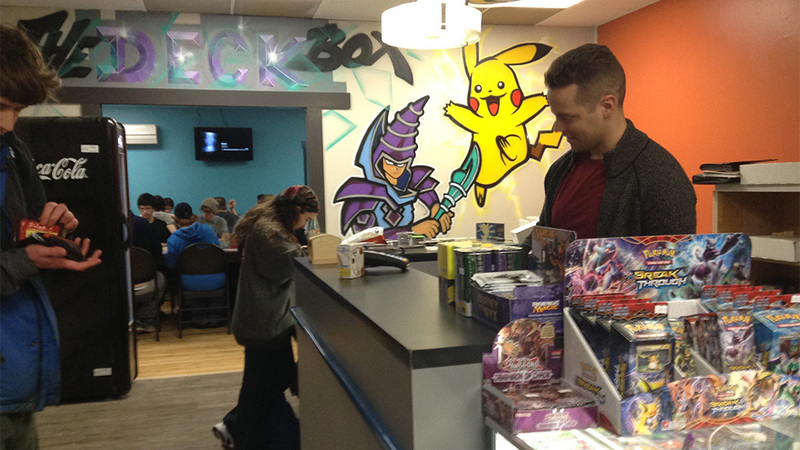 A Pikachu painting on a wall waves at customers, as if beckoning them to the back room where over 30 men and boys are gathered to play Magic: The Gathering. 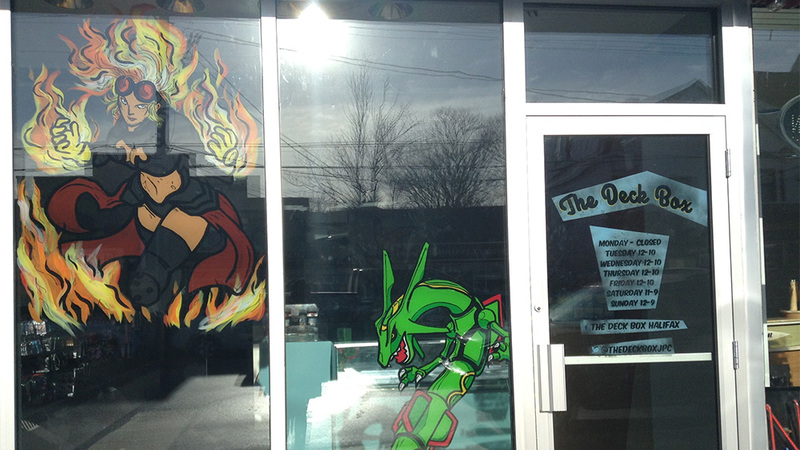 Joshua Pyle-Carter and his wife own ‘The Deck Box’, a game store that deals in collectible trading card games like Magic: The Gathering, also called Magic. Pyle-Carter first opened ‘The Deck Box’ in P.E.I. five years ago. He then opened another store in Halifax last year because of high demand from the Magic community. Pyle-Carter started playing Magic when he was 13 years old. He says he took a risk by opening a card shop but he knew he would excel at it. Magic is a card trading game that started in 1993. 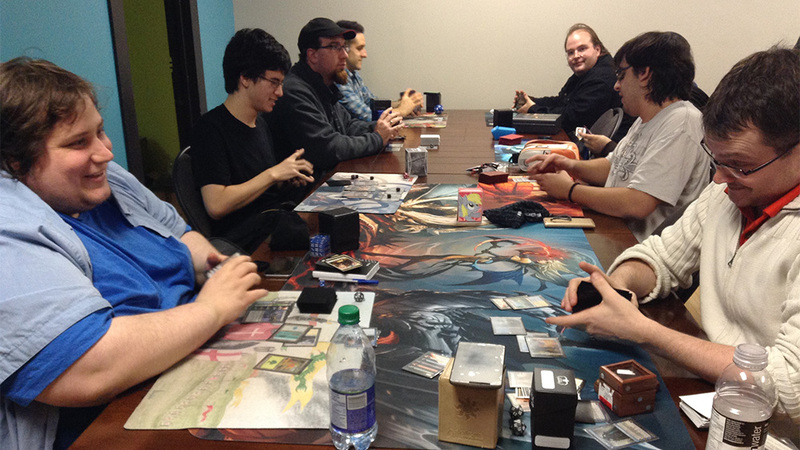 ‘The Deck Box’ hosts Friday Night Magic (FNM) every week where Magic gamers can come and play together. Pyle-Carter registered over 1000 players in his shop last year. He claims that’s about 15 per cent of the whole Magic gaming community in Halifax. In a world where technology has become a vital part of our lives, including gaming, Pyle-Carter says Magic is about all about interacting with people from different walks of life. He says lawyers, engineers and even “hard-core bikers” come in often to play the game. Cape Breton native Alan Spinney has been playing Magic since 1995. He’s now 38 years old and says the game is a connection tool for him and his friends. Luc Deveaux-Jollimore is 12 years old and was introduced to Magic by his friends when he was 10. He says the artwork on the cards is what got him interested in the game. Aeli Osccia moved to Halifax from Italy five years ago. He started playing Magic in university at age 20 and is currently 43 years old with about 6000 cards in his collection. He says what keeps him coming back is the game’s unpredictable nature. Osccia says his children have also taken an interest in Magic. He teaches them the game and often shows them his collection. Although ‘The Deck Box’s’ main buyers are between the age of 18 and 35, Pyle-Carter says he’s had clients as old as 80 buying and playing the game. He also provides after-school programs to children where he teaches them how to play card games. Pyle-Carter says there’s already stigma and stereotypes about gamers in general. He says this discourages potential players from coming forward and asking questions about games they’re interested in. Michael Hughes has been playing Magic for two years. He says most people who hate the game are not sure why exactly they hate it. Michael Burns has been playing Magic for 15 years. He says he doesn’t mind people who criticize the game but there should be respect. Osccia says liking something means giving it a chance.